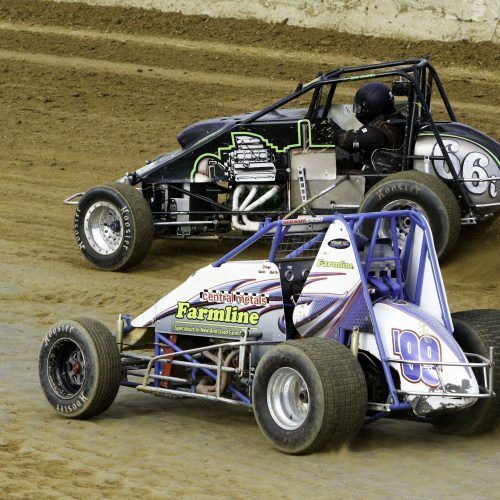 IT'S A FEAST FOR YOUR SENSES! 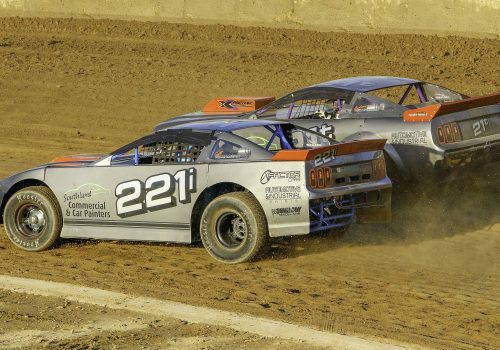 The largest class is speedway runs to the same racing rules as Superstocks, but has additional technical restraints to keep costs in check. 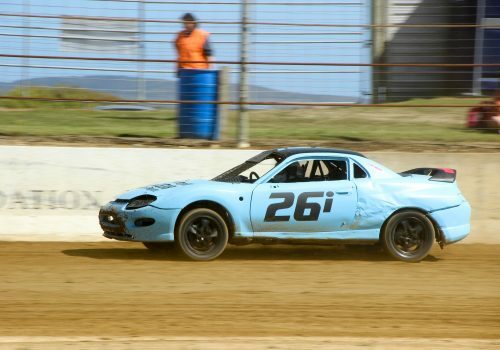 Speeds are slightly less as a result, but the action can be just as entertaining. 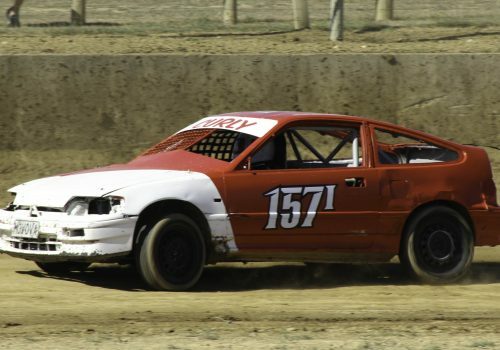 Based on a strengthened road car, Street-stocks have limited contact rules, and are the most affordable national class. 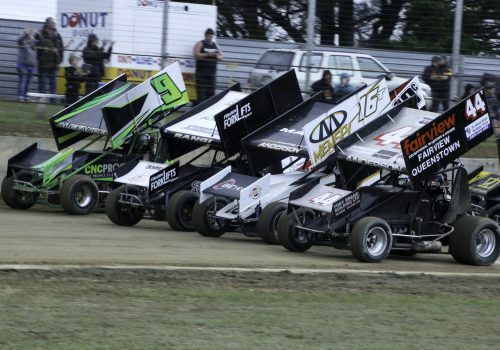 particularly strong in the South Island, they are the only speedway division where racing occurs in both direction around a track (although not at the same time). 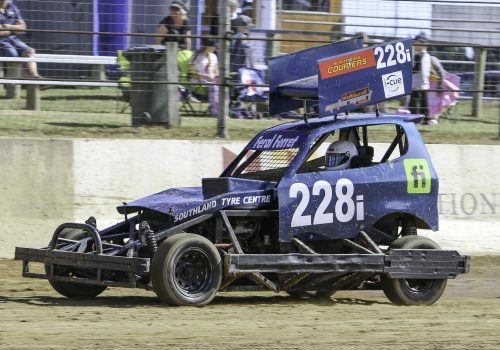 The wide tired, fibreglass clad “big bangers” provide spectacular wheel to wheel action, and are crowd favourites when they appear in large numbers. 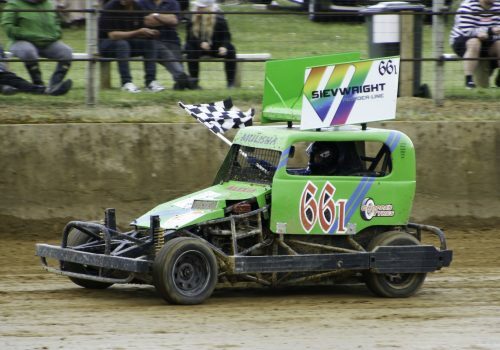 Minimum weight is linked to engine capacity, to ensure a level playing field. 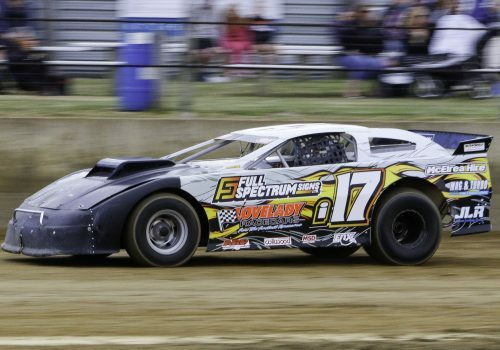 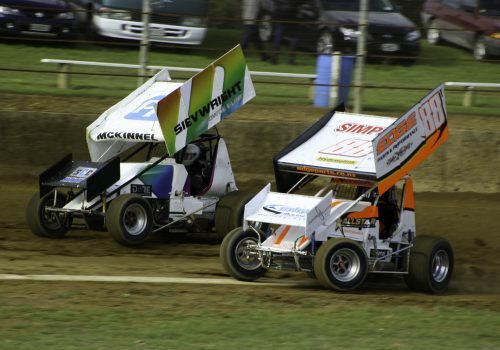 The “winged warriors” of the speedway scene are also popular in Australia and the USA. 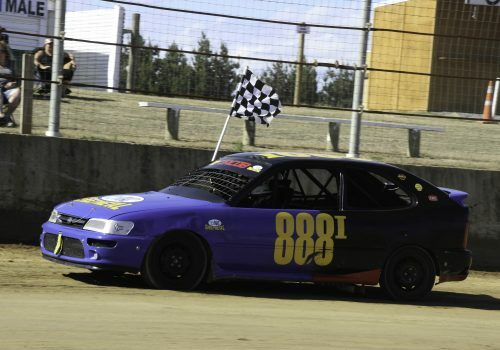 The combination of a high powered V8 engine and a massive wing ensure they are the fastest vehicles on four wheels around NZ speedway tracks. 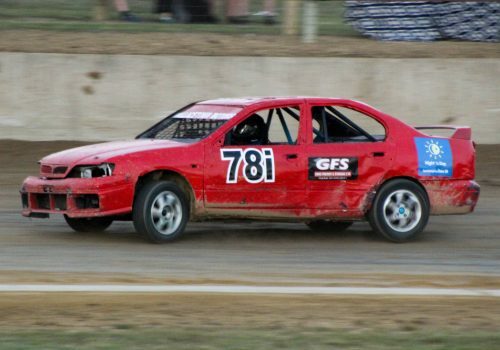 Another excellent entry-level class, based on a modified road going or “Production” vehicle under 4 litres, with no contact allowed. 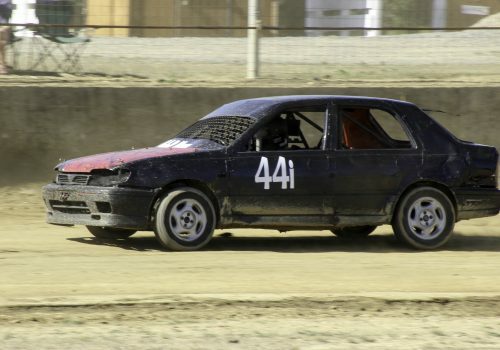 A wide variety of makes and models are competitive in the category, both front wheel and rear wheel drive, so there is something for everyone here. 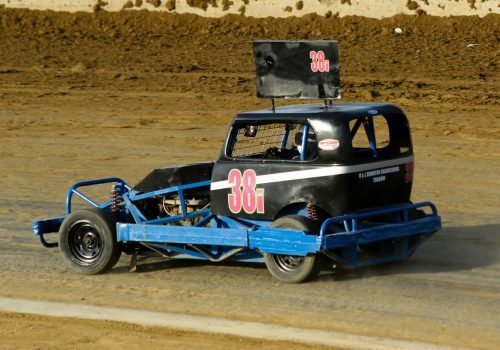 Running a midget-sized chassis with motorcycle engines ranging from 1000-1200cc. 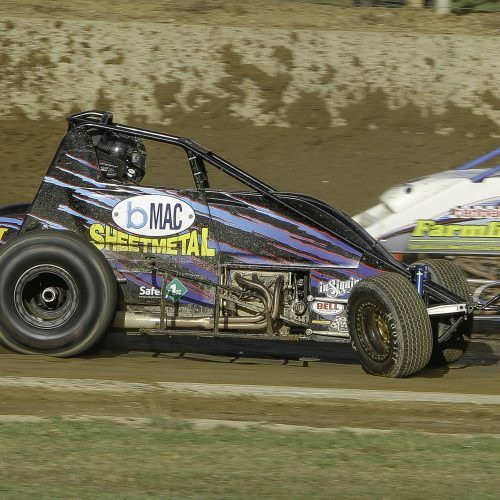 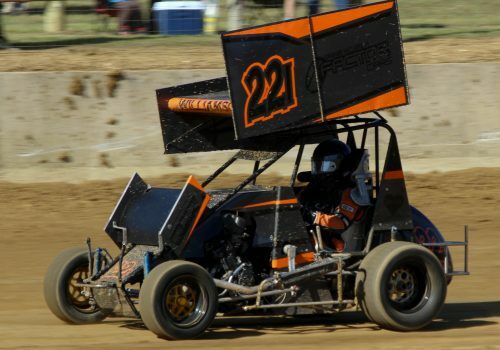 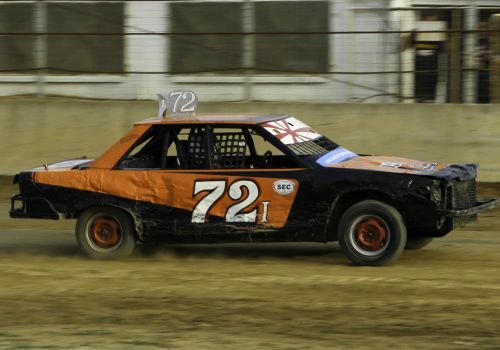 Modified Sprints are a regional class raced mainly in Invercargill and Christchurch and are often hosted by other clubs as a draw card for spectators. 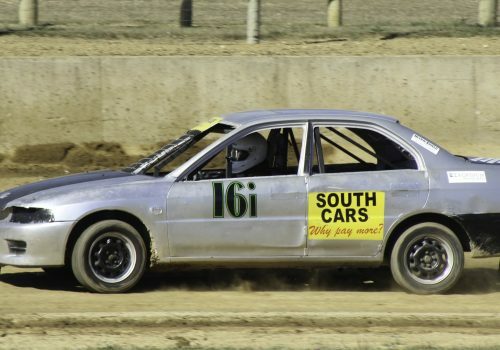 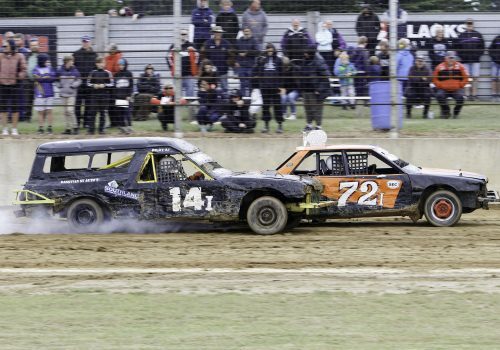 Restricted to 1600cc Youth Saloons are a beginner grade raced by 16 year old and under. 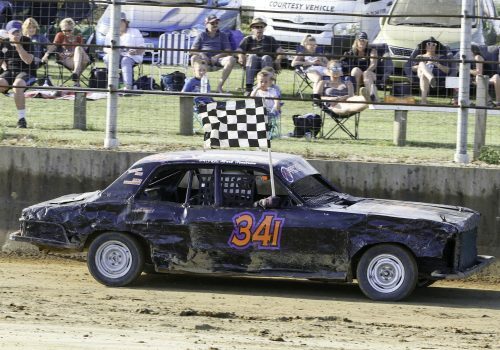 Invercargill are currently the only club in New Zealand, where we enjoy a good following. 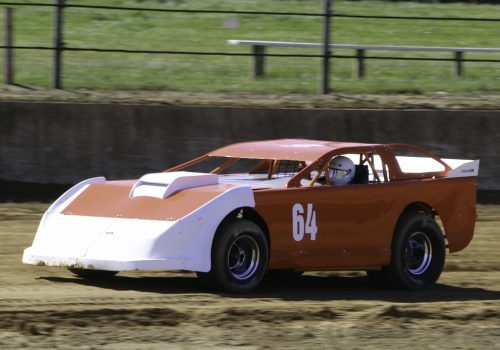 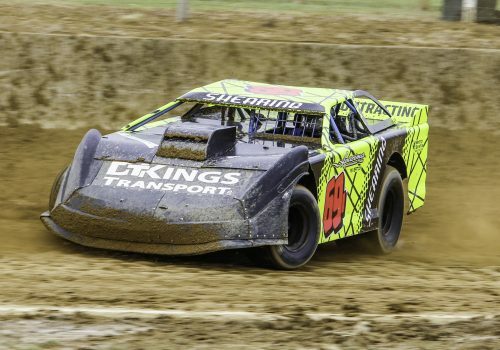 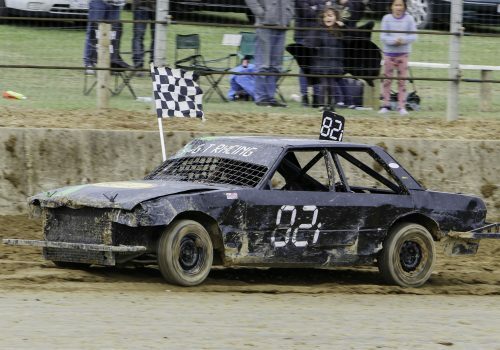 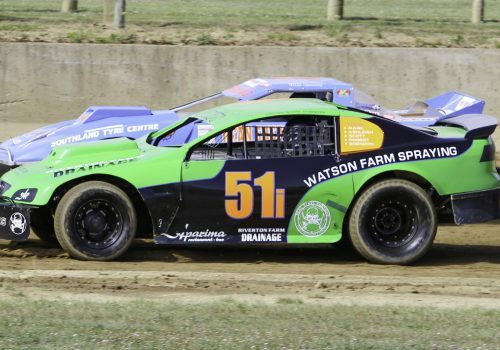 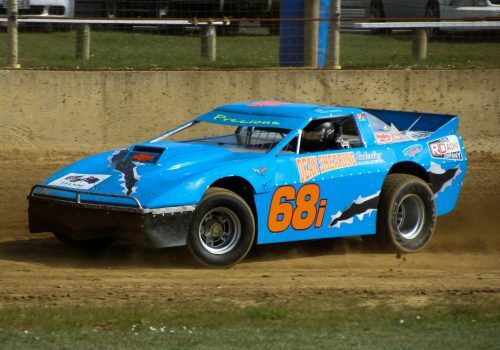 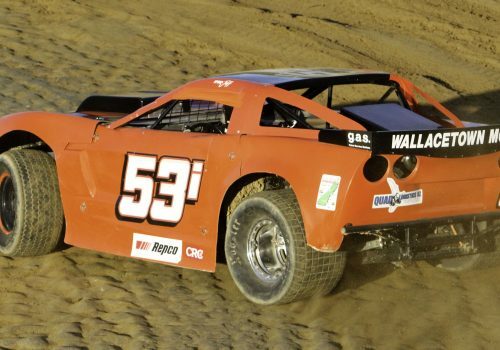 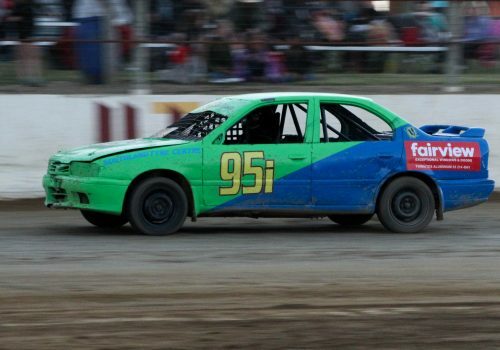 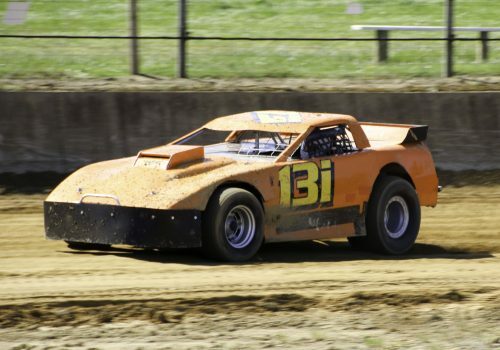 Another regional class campaigned largely in the South Island, a Six Shooter is built around a Sprint Car Chassis and is powered by Holden Commodore V6 Motors. 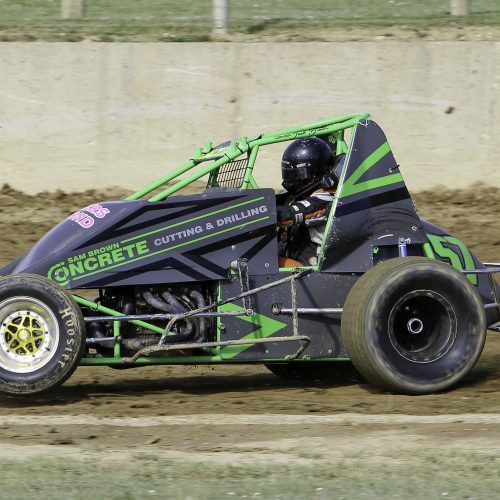 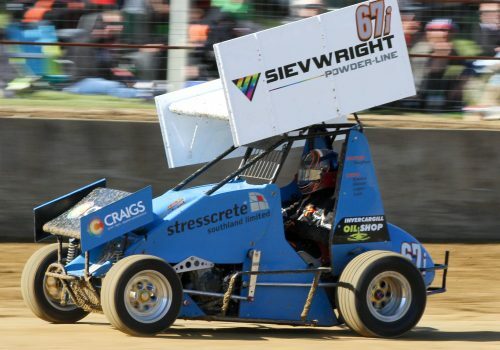 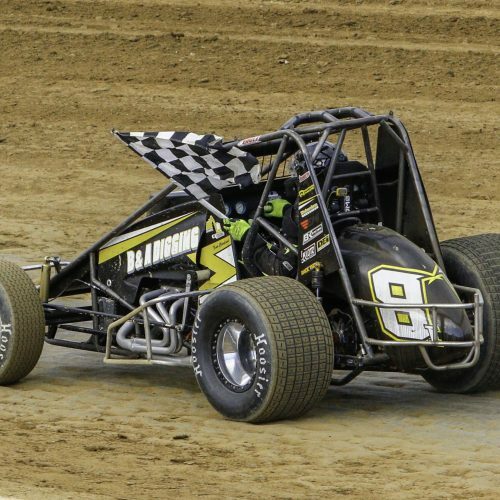 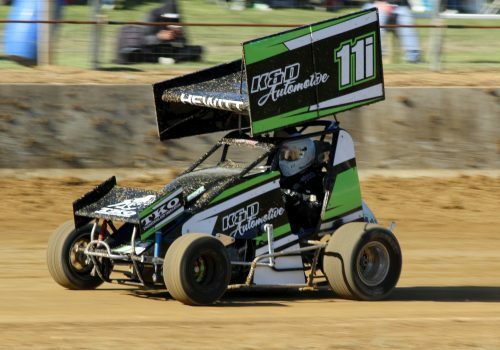 Also commonly referred to as Wingless Sprint Cars the class is an affordable open wheel grade and one expected to grow rapidly in Invercargill.